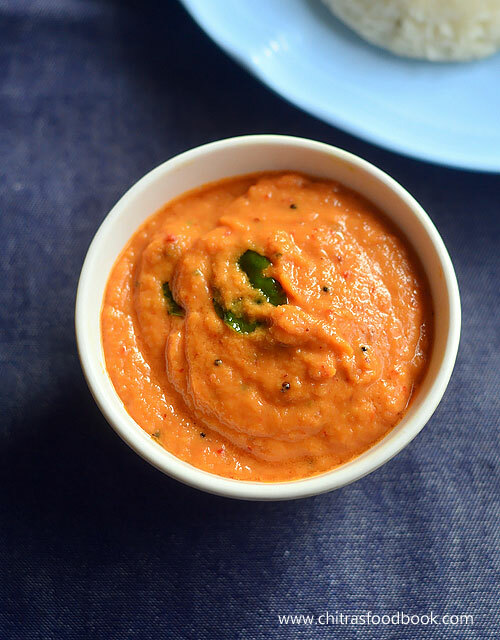 Onion chutney without tomato and coconut is my daughter Raksha’s favorite chutney for idli,dosa. So I make this South Indian, Tamil nadu style onion chutney/ vengaya chutney recipe at least once in a week for her lunch box. She fondly calls it as cooked onion chutney. Basically I am a big fan of raw onion chutney recipes more than cooked ones. But Sendhil and Raksha never touches raw onion chutney. So I learnt some varieties of cooked onion chutney recipes from my Mom & MIL. This is one among them. Its a very simple and easy recipe with just 3 major ingredients, onion, red chilli and tamarind. Color of this chutney depends on the roasting of red chillies. If you roast it till dark brown or black, color of the chutney also changes. 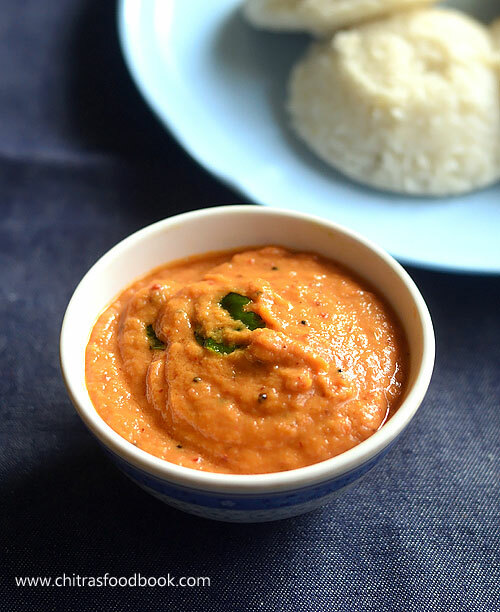 Ok, lets see how to make onion chutney recipe for idli, dosa with step by step pictures. Check my video on 3 raw onion chutney recipes and my collection of 60 chutney recipes. Wash and peel onion and chop into small cubes. Heat oil in a kadai. Saute red chilli and onion adding salt and tamarind. Cook till onion becomes transparent. Grind to smooth paste adding water. Temper mustard seeds, urad dal and curry leaves. Add to chutney. Serve with idli , dosa adding sesame oil on top. Wash the onion, peel the skin. Chop into small cubes. Set aside. Heat oil in a pan. Saute onion, red chilli adding salt. Add tamarind and saute in the same heat. Let the mixture cool down completely. Grind to a smooth paste adding required water.Temper mustard seeds, urad dal and curry leaves. Add to chutney. Mix well and serve with hot idli, dosa. You can use either big onion or small onions. Each has its own taste and flavor. This chutney tastes mildly bitter if the quantity of onion is more or if the chilli is roasted till dark brown in color. For variations, you can saute one ripe tomato along with onion and grind the chutney. 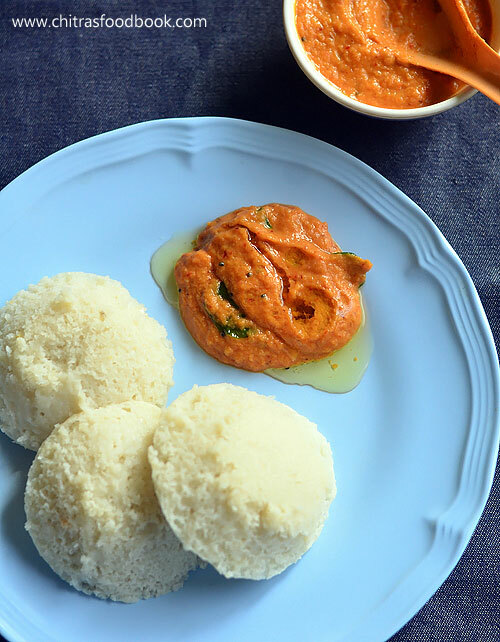 Try this easy, yummy onion chutney recipe for idli, dosa and enjoy !